The worst thing about Glossier’s new flagship location in New York is leaving — no, seriously, it’s very hard to walk down the stairs in heels. As a beauty site that launched its own line of cosmetics in 2014, Glossier is known for a minimalist, dewy look. It previously had just a sample room, but as of Nov. 8, the looks inside its new flagship might become better known than the looks produced outside. NYC ✨ GLOSSIER FLAGSHIP ✨ NOVEMBER 8 ✨ 123 LAFAYETTE STREET ✨ Two shoppable floors of Glossier in real life at the same address where it all started. We can’t wait to have you. Aside from the many women struggling down those stairs, the large new location at 123 Lafayette Street is exactly what the skincare line’s fans crave: an aesthetically pleasing place with quick service and incredible Instagram potential. 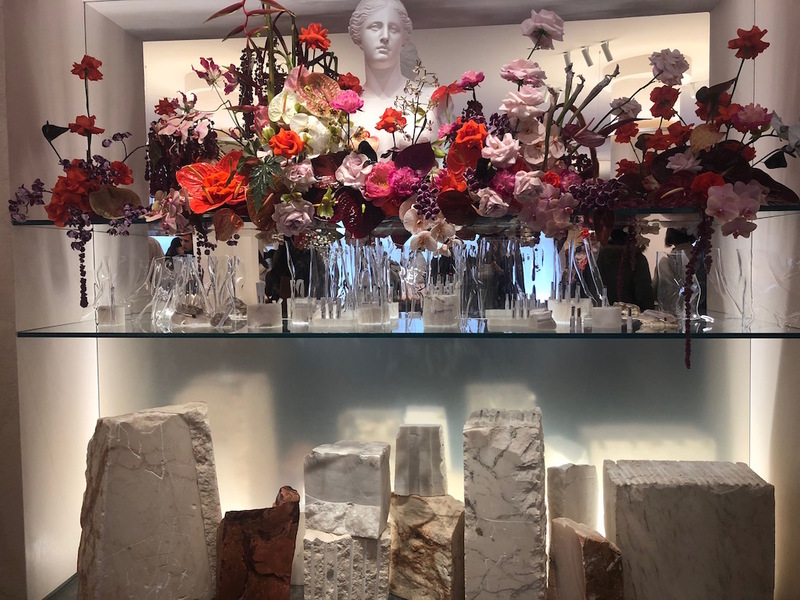 There are couches that resemble lips, granite art pieces miming glosses and face washes, and walls designed to look like whatever it is that holds the sample lipstick in place. Small cylinder lights hang down from the ceiling of this new tourist trap, lighting the millennial pink walls just enough to highlight the many selfies being taken using mirrors meant for examining makeup. Or maybe they’re meant for selfies. After all, the mirrors have bolded sayings like “you look good” on them. The workers in light pink onesies and white Reeboks are armed with iPads in their back pockets, and are friendly and eager to help all who enter, which, on Friday consisted of many moms and daughters like Jessica Valentin and Yesenia Castaneda of Orlando, Florida. 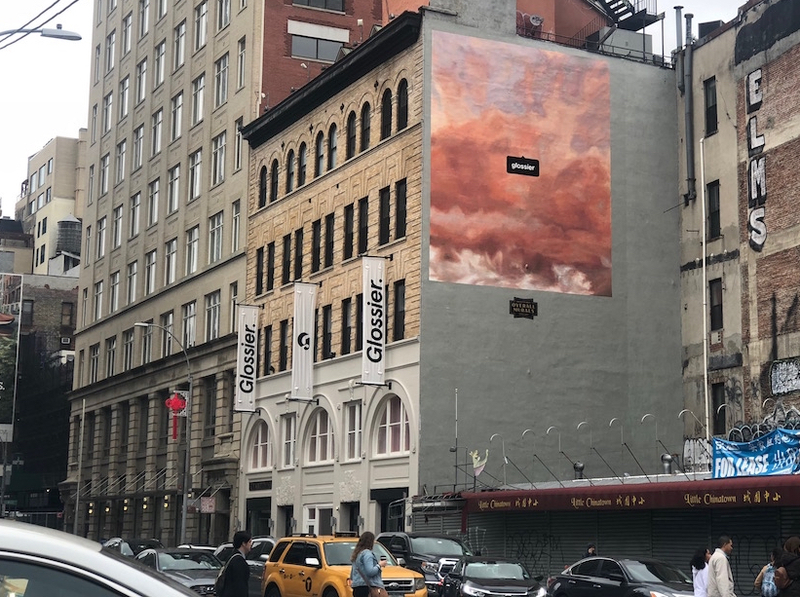 The duo came to the East Coast for a birthday party in Pennsylvania, but made sure to make time for a visit two hours out of the way at Glossier’s flagship. Castaneda, 17, had a face full of perfected makeup and eyes full of excitement. She bought four different things — lip color, face shimmer and more — all the while taking as many photos as possible. “I’ve been following them on Instagram, so it’s so cool to see it in person,” she said between sampling product. Now open: Glossier flagship store ✨ our new multi-story shopping experience at 123 Lafayette St, NYC. Come on in! It might be the look of the store that brings women and men of all ages into the shop or onto the brand’s Instagram. But the minimalistic makeup isn’t just good marketing or branding — it’s good messaging, said Rhonda Heier, who came to the store with her daughter and niece. 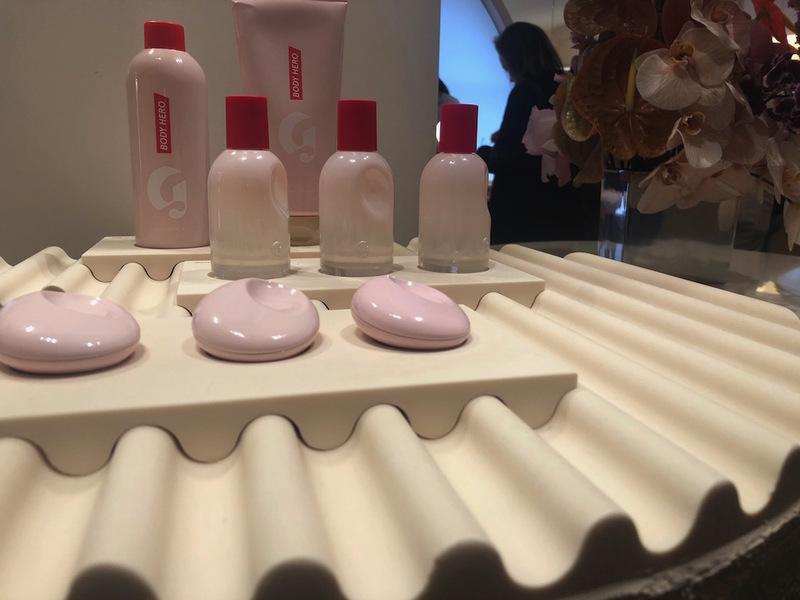 They were more infatuated with the brand and its samples, but Heier was happiest that the products teach women of all ages that “they don’t have to wear a face so full of makeup” — they can use Glossier and bring out their natural beauty. 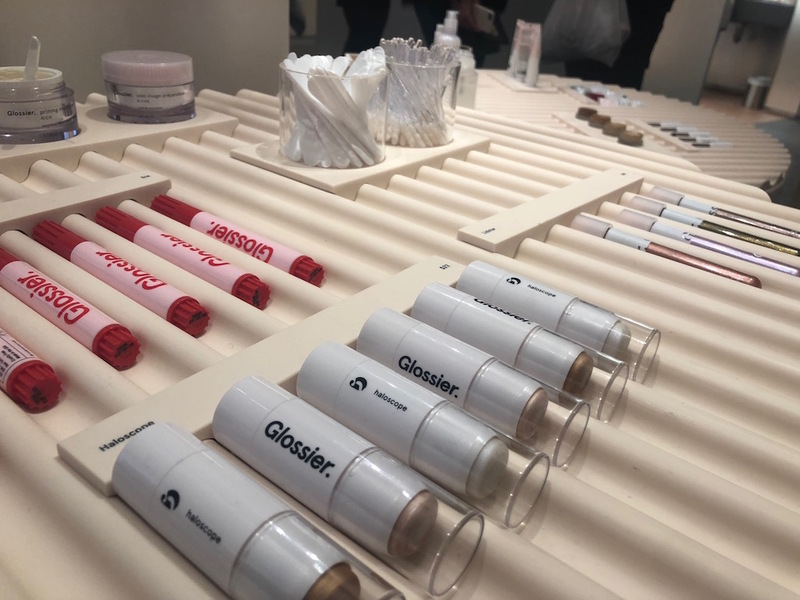 Glossier is open Monday through Sunday from 11 a.m. to 9 p.m. and all products are available to sample in person.